Murat Çapan, the managing editor of the Nokta magazine who on May 22 was sentenced to 22 years, six months in prison for two cover stories, was arrested on Friday. Çapan was caught in Turkey’s border province of Edirne along with one purged academic, two purged teachers, a retired police chief and three children while they were attempting to illegally leave Turkey for Greece, on Monday. 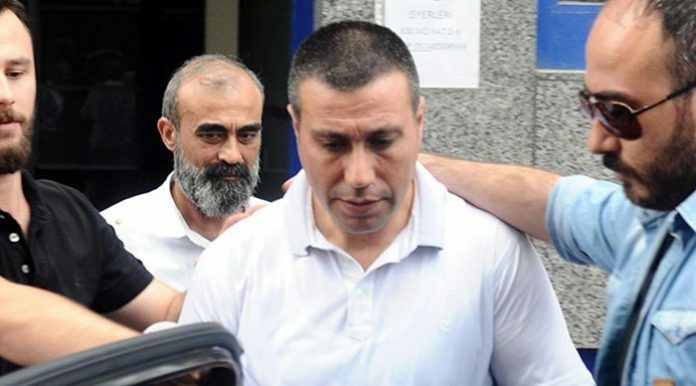 The İstanbul 14th High Criminal Court handed down a sentence of 22 years, six months to both Cevheri Güven and Çapan, top editors of the Nokta magazine on Monday. The court sentenced both editors to prison for “inciting people to armed revolt against the Turkish government.” Güven has already been in exile for some time. Nokta, which specialized in in-depth investigative reporting, was closed by the government on July 27, 2016, along with 130 other media outlets. The worst jailer of journalist in the world, Turkey has arrested more than 230 journalists since last summer, of which around 160 are still kept behind bars.